The existentialist philosopher Jean-Paul Sartre once memorably described Alberto Giacometti's face as "antediluvian." In the 1960s, the Hungarian photographer Brassaï took unforgettable images of the artist in his squalid Montparnasse studio. Giacometti's expression is intense, rapt - the powerful gaze seemingly capable of paring away his already emaciated creations. He is also melancholic and resigned, since, like his friend Samuel Beckett, he senses that all artistic endeavour must end in failure. Then, of course, there is Giacometti's work: instantly recognizable sculptures of stick-like men and women walking, pointing or simply standing still, like spectral visitations from beyond the grave. The Swiss sculptor, painter and draughtsman was born in 1901 in the mountain village of Borgonovo in Stampa. The valley was so seldom touched by sunlight that his brother Diego once described it as "a sort of purgatory." Giacometti belongs to an elite group of 20th-century artists who are, themselves, as readily identifiable as their work. More than half a century after his death in 1966, he still exudes charisma and exerts fascination. Like Picasso, he exists in our collective imagination as an almost mythical figure. Giacometti's work has influenced many celebrated artists, from the late Francis Bacon to Marina Abramović, Rebecca Warren and Sarah Lucas. For museum directors, he is a perennial favourite, guaranteeing blockbuster visitor numbers. Last year, Tate Modern in London mounted an ambitious, immaculate retrospective of his career; this summer, the Guggenheim in New York is set to do the same. Meanwhile, in June, the Giacometti Foundation, which was formed around a bequest from his widow, Annette, will open a new permanent Giacometti Institute in Paris. 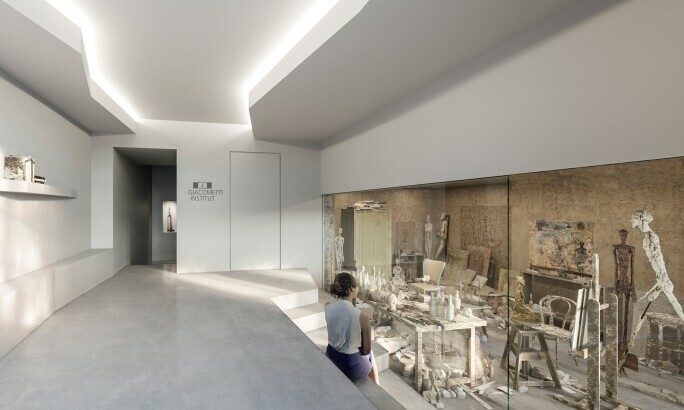 It features a painstaking reconstruction, complete with fragile plaster artworks and painted murals of the artist's studio at 46, rue Hippolyte-Maindron. He moved in at the end of 1926 and there he remained, long after he could afford more salubrious surroundings, until his death 40 years later. The best thing about success, Giacometti used to say, was that you no longer needed to care whether you had holes in your socks. His reputation remains solid as rock, and his work always causes a stir at auction. Buste de Diego, cast in 1957, and Le chat, cast in 1955 (page 80), was offered in Sotheby's Impressionist & Modern Art Evening sale in London on 19 June, following in the wake of many record-breaking results. Yet Giacometti's popularity is not easy to explain. Picasso was an incorrigible artistic shape-shifter, creating something for everyone within his preternaturally varied and prolific output. Picasso's great friend and arch-rival, Matisse, was the painter par excellence of hedonism, sensual pleasure and joie de vivre. But Giacometti? His avant-garde Surrealist work of the late 1920s and 1930s is laced with menace and sexual violence. His post-war sculptures are sombre, funereal expressions of the trauma of the Second World War and the existential threat of the mushroom-cloud-shaped catastrophe overshadowing the atomic age. His work is dark, difficult - even gruesome: Woman with Her Throat Cut, 1932, looks as if it was conceived by a serial killer. His mother once observed: "Unfortunately, you like the shadow." Yet, undeniably, his work resonates - so much so that last year he was the subject of a film directed by Stanley Tucci and starring Geoffrey Rush. Look closely: few of his figures have 20th-century attributes. 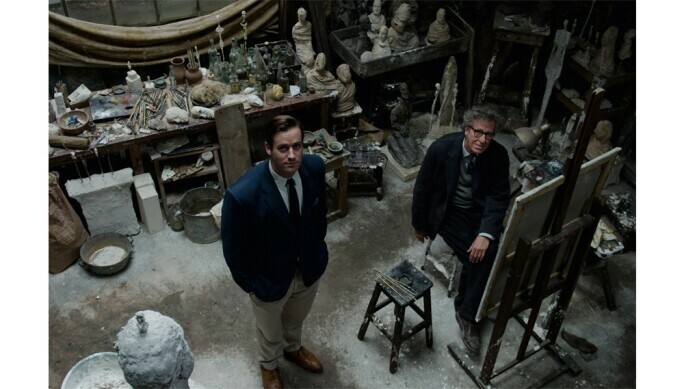 They hark back to art made aeons earlier, such as the ancient Egyptian sculpture that Giacometti admired as a sixteen-year-old, and which remained a wellspring of inspiration throughout his career. The elongated, cypress-like Etruscan votive statue known as the Ombra della serra, or Evening Shadow (3rd century BC, in the Museo Etrusco Guarnacci in Volterra, Italy) was another important source. Giacometti's sculptures are not limited by period-specific trends and fashions, but have a universal quality. In Giacometti's art, people ride chariots not sports cars. Along with this universality, there may be another reason for the enduring appeal of Giacometti's work: the rugged, indomitable spirit of hope that, counterintuitively, his sculptures embody and project. At first glance, Giacometti's post-war figures appear as feeble wraiths, summoned from a Western Europe obliterated by war. Their relentlessly reworked, textured surfaces are nervous, jumpy, jittery; they appear so thin and alienated that they seem on the cusp of vanishing, vaporised by a hostile, indifferent world. Yet, crucially, Giacometti's men and women are palpably present: emblems of human endurance, rather than of weakness or despair. Beleaguered but unbowed, they offer amid the darkness a flame-like flicker light. We, as a species, Giacometti's sculptures seem to say, refuse to be destroyed or to destroy ourselves. In Giacometti's vision of humanity, we see an irreducible, indestructible core as a skeleton beneath flesh. Then, of course, there is the story of his courageously austere life. 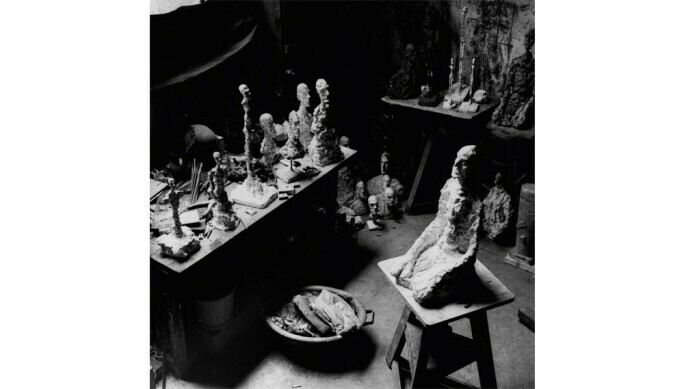 Giacometti's biography may lack the fireworks of, say, Picasso's (even if he did frequent the luxury Parisian nightclub and brothel Le Sphinx), but his adamantine commitment to art and la vie bohème is something to be respected. Giacometti the man has become a symbol. He is the quintessence of the Bohemian artist toiling away in the studio with little prospect of satisfaction: in interviews he often spoke about the unbridgeable gulf between what he wanted to make and what he could, in fact, fashion. (He was notorious for whittling sculptures until there was nothing left.) Like Beckett, he was reconciled to trying again, failing again, failing better. Giacometti recognised that his severe, unchanging life was an essential part of his "myth." Ultimately, this accounts for why he never left his studio in the rue Hippolyte-Maindron. 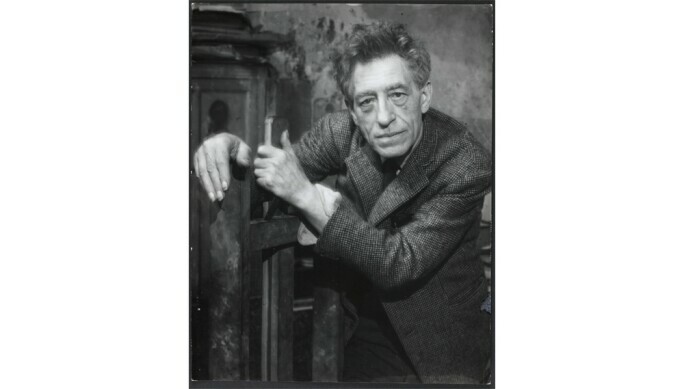 Brassaï, whose black-and-white pictures of Giacometti helped to cement the artist's position in the pantheon of modern art, once explained his friend's faithfulness to "his totally comfortless studio with its worn divan, tables and stools." He wrote: "Success did not change the almost monastic simplicity of his way of life. All he needed to be happy was a mound of clay within easy reach, some plaster, some canvases, and a few sheets of paper." The product of this apparently simple life is evident for all to see not only in the shape of Geoffrey Rush's uncanny recreation of his life on film but also, perhaps more lastingly, in the haunting figures of his art. Giacometti Institute opens 21 June. Giacometti, Solomon R. Guggenheim Museum, New York, 8 June - 12 September.